Do you have a car? Do you also have a phone? 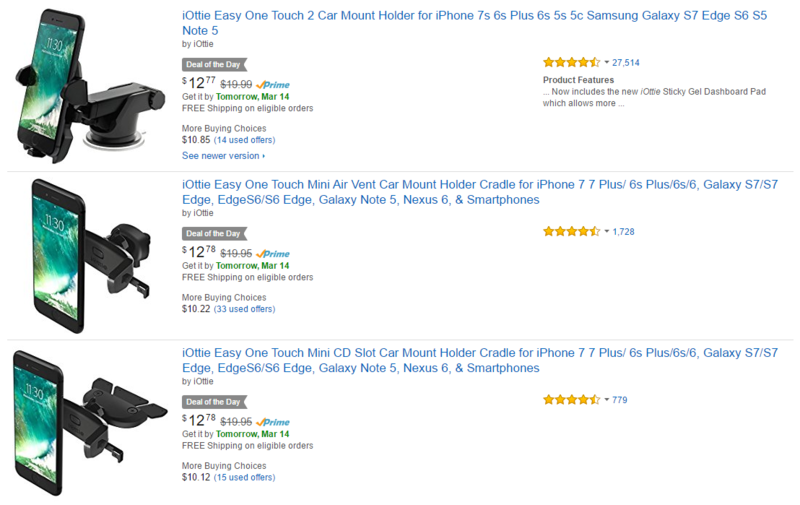 Then you might need a car mount for your phone. If you don't have one already, iOttie has discounted three of its mounts on Amazon for today only. The suction cup mount is $12.99 (normally $19.99), which you can stick easily on your car dashboard - or other places, do what you want. Both the air vent mount and CD slot mount is currently $12.78 (normally $19.95). The air vent and CD slot mounts work with any phones (or phone-shaped objects) between 2.3 to 3.5 inches wide - large enough to fit the massive Phab2 Pro. The suction cup mount works with devices between 2.3 and 3.2 inches wide. You can find links to all of them below.